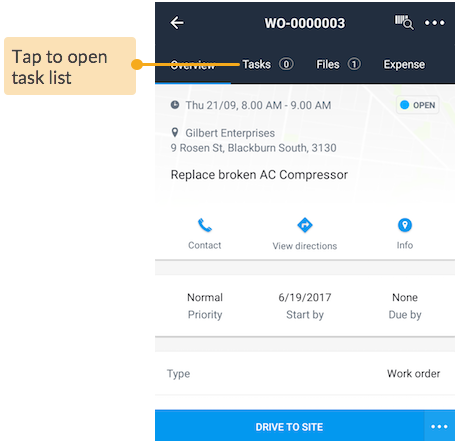 Adding field data enables you to record information on the spot, plan your tasks and expenses well, and supply photos for reference. 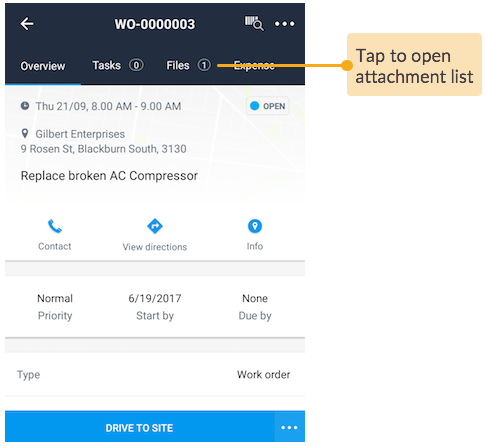 Any additions and changes made to your job is instantly reflected on Loc8 via web browser, using which your office can easily carry-out sign-off with customers and bill them accordingly. 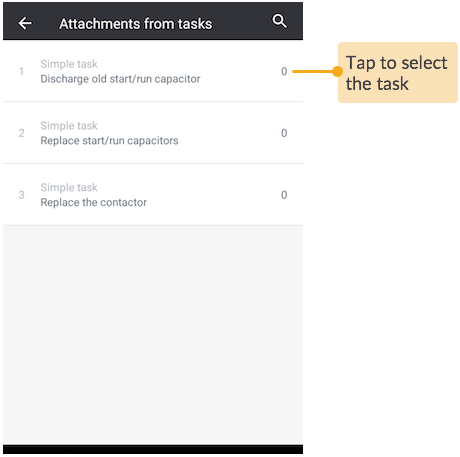 Open the task list to add new tasks. 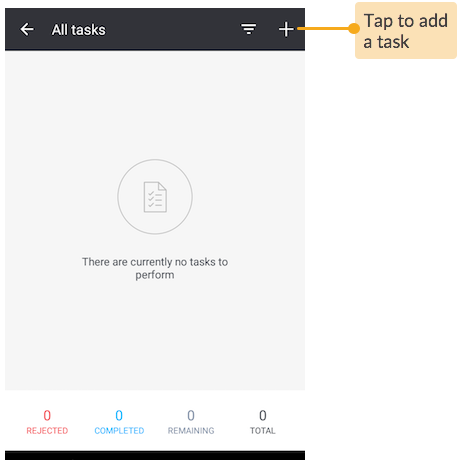 You can add all of the tasks involved in the job. 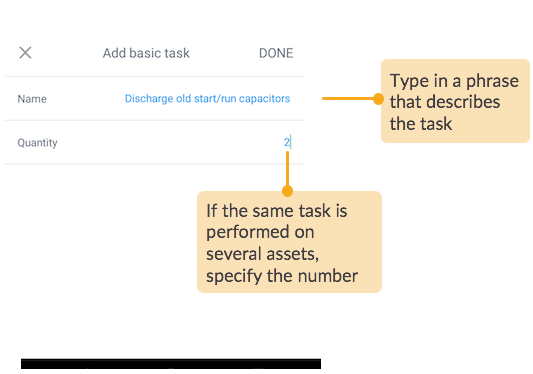 Define the new task and save it. NOTE: To delete or edit the details of a task that's has already been saved, please contact your manager or any office staff who will have permissions to make deletions in Loc8 via web browser. Go to the attachment list and add new photos. 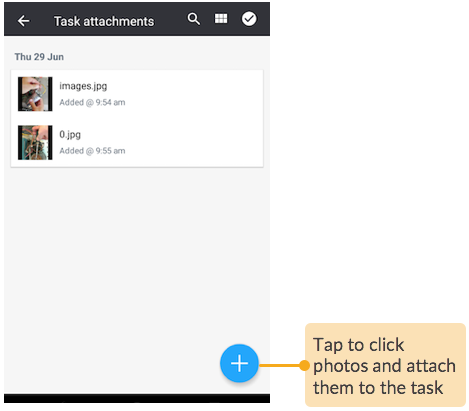 You can add photos related to the job on the whole or specific to a task. Next, click and upload photos, or delete them as required. 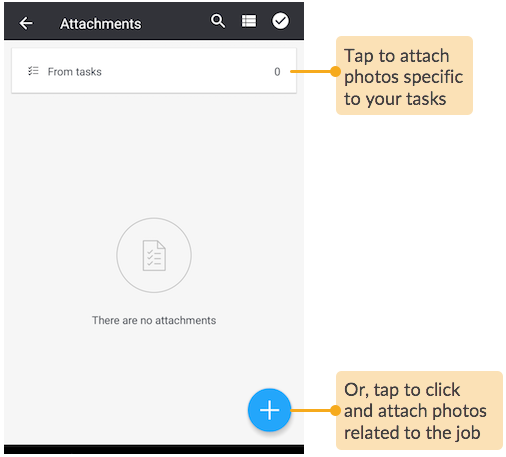 If any photos were already attached when working on the task as discussed in Complete your Job with Loc8 Mobile, you will see them here. 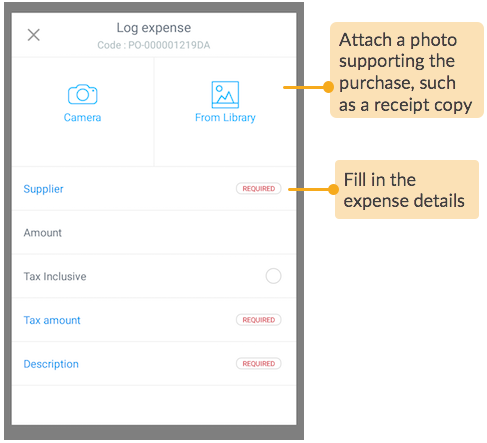 Go to the expenses list and specify any additional payments you had to make to complete the job. 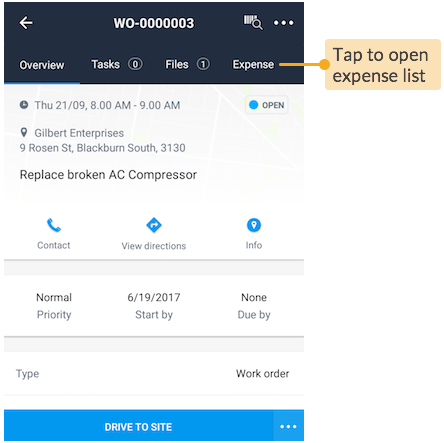 Add all expenses here one by one, for example, you can add any items you might have purchased to work on the job. Specify a few details about the purchased item. You can also provide a proof of purchase for reference. Lastly, save the expense details. 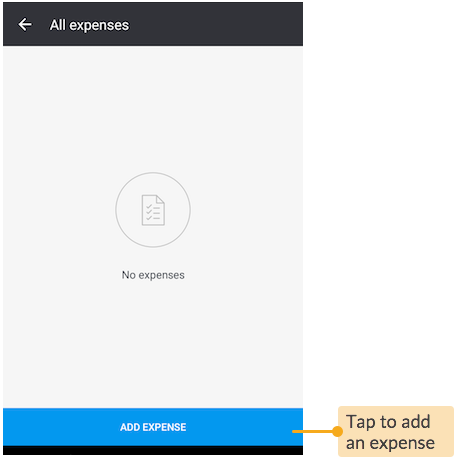 If necessary, you can delete the expenses at anytime. 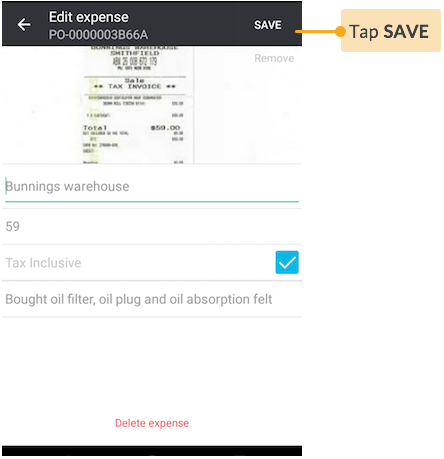 Just tap Delete expense at the bottom of your screen.